What Was It Like at the Time of the Oklahoma Land Runs? What were the Land Runs? How did the participants "stake a claim?" What brought these people to Oklahoma Territory? How did they travel, what did they bring with them, and what did they need to survive once they arrived? Youth and their parents are welcome to attend, with no age limit stated. 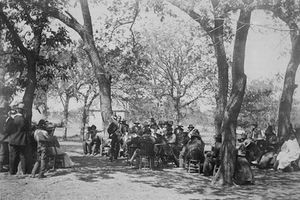 We will discuss the various Oklahoma Land Runs, the early settlers' lives and hardships, and have items on-hand similar to those that were brought by these early settlers. Ms. Nanitta "Kentucky" Daisey, will be making an appearance at this event. In period dress, she will be discussing her trip from Kentucky to participate in the 1889 Land Run, and how she staked her own claim in what is now known as Edmond! 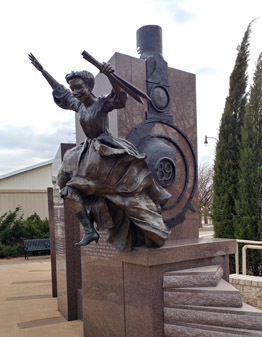 There is a bronze statue placed in her honor in downtown Edmond. The program will include time on computers for each participant with parent &/or staff to search for any of their possible Land Run ancestors. O.G.S. also has an "Early Oklahoma Land Tract Books Index" CD for sale. 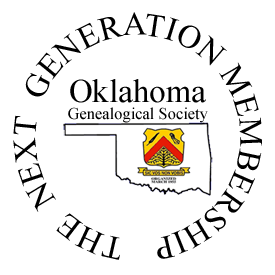 The program will be Saturday, April 27 from 1:00 to 3:00 p.m at the Oklahoma Genealogy Society, 1125 NW 50th Street in Oklahoma City. Registration is $20 per child. If your child is a member of the O.G.S. Next Generation; there is a $5 discount for this program. The Settlers and Builders of Oklahoma, under the jurisdiction of the Oklahoma Genealogical Society, was founded to recognize, honor, and perpetuate the memory of the residents that helped build the new State of Oklahoma from statehood, 16 Nov 1907 through 31 Dec 1929. 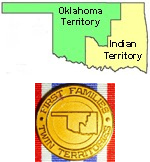 Note: Anyone that resided in the Twin Territories prior to statehood is also eligible for the OGS First Families of the Twin Territories Lifetime Membership. You can nominate anyone you believe should be honored for their contribution(s) to the settling and/or building of Oklahoma. Get more information here. 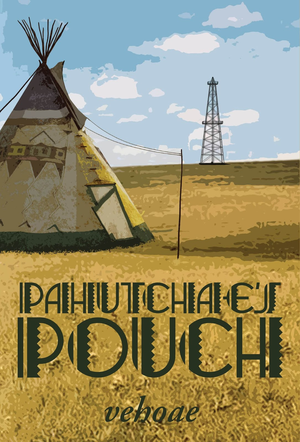 Congratulations to OGS member 'vehoae' on the publishing of her book 'Pahutchae's Pouch'. Check out her press release here. The Oklahoma State Department of Health has recently introduced its new OK2Explore Oklahoma State Vital Records Index. For genealogists, knowing when someone was born or died can help determine whether or not you have the right person. The new vital records index includes death records occurring more than 5 years ago and birth records occurring more than 20 years ago. In 2016, the Oklahoma legislature passed legislation that now allows full death records to be public after 50 years and birth records to be public after 125 years. 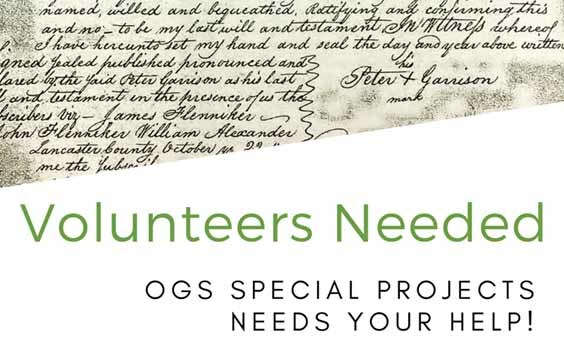 The Oklahoma Genealogical Society thanks Kelly Baker, OSDH Registrar of Vital Records for her leadership of this project which was delivered six months ahead of schedule. An O.G.S. 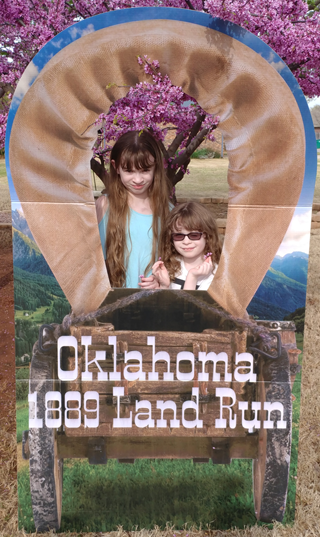 Youth Program: "What it Was Like at the Okla. 1889 Land Run"
Emily Hedinger & Cheryl Jones will present "Emily and Cheryl Research in DC". The presentations at the meetings are to help the genealogist to use the computer to assist in the research and sharing of their family histories. "Avoiding Beginner Mistakes" by Jim Ike. By learning from the mistakes from others you can save a lot of headaches, frustrations, time and money. Just prior to Memorial Day; this class, presented by Mike Birdsong, will teach you how to gain valuable genealogical information while visiting the cemeteries.